Got a stuck lid on your Fermonster? 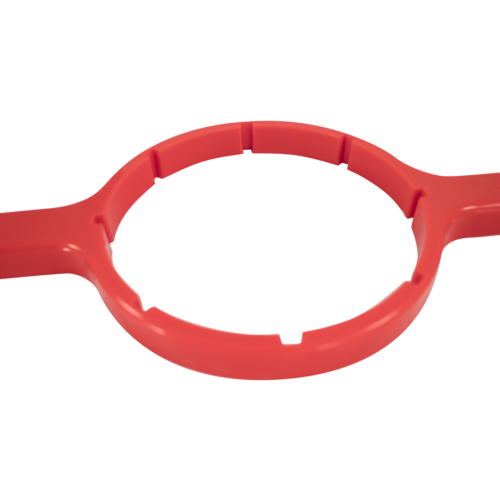 Get it open much easier with this specially designed lid opener. 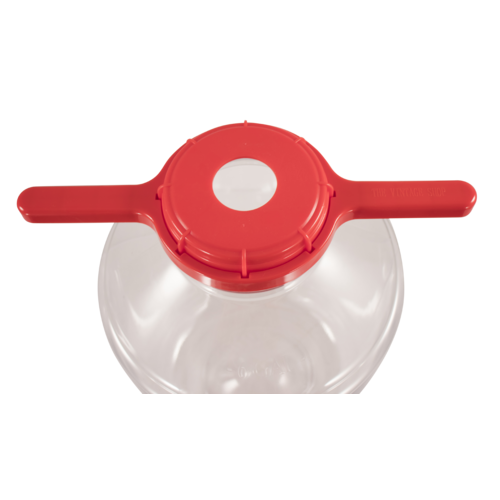 It easily slides onto the lid and gives you comfortable hand grips to open a stuck lid. 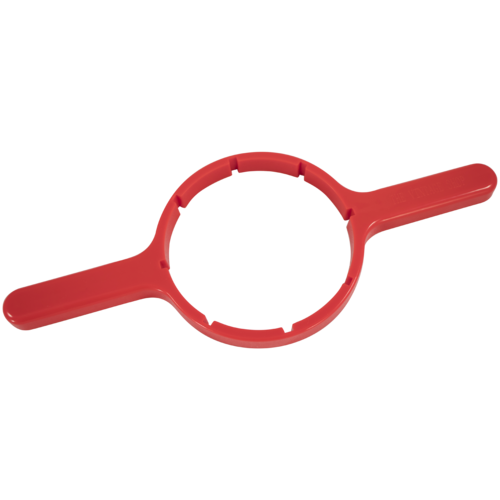 Note: We do not recommend using this tool to tighten the lid because the seal is made by the o-ring and not the pressure between the lid and neck. So opening my Fermonster will not be a struggle. Hard to open after a tight seal with rapid fermentation. Heard stories about the FerMonster lid being difficult to remove, so I am getting this. The lids are always a struggle to open. Seemed like an important addition. During fermentation the lid gets very tight and is very hard to open when making additions. I really like my Fermonster fermenters, but the lids can be a pain. Sometimes I'm a weak little person who has trouble opening things. If you have a Fermonster you know why you want this. Hard to remove the lid without it! I tightened the lid too tight a number of times and was hard to remove lid when transferring or kegging without disturbing the sediment at the bottom of the fermonster. Fermonster lid is sometimes hard to get open. Sometimes the FerMonster lids are hard to remove. The lids do indeed get stuck, so I'm hoping this helps! I have hobbit sized hands and need more torque to get that lid off. Read that top can be hard to open. Brought one before...works great! Couldn't open jar last time. Read reviews that lid is hard to open. The lids can get tight on the Fermonster. This should help remove them. The Fermonster lids do tend to stick, I hope this helps. Help with opening an closing FerMonster lids. Pretty much a must. You have to seal the lid tightly to get the airlock to perc. Can this key be used for fermentassaurus? 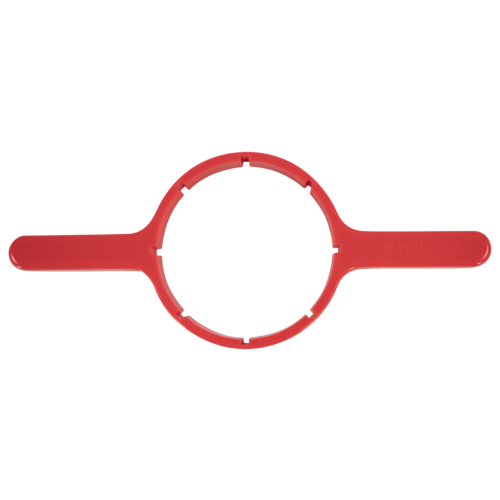 BEST ANSWER: The grooves in the lid opener are designed to match up specifically with the grooves of the Fermonster lid, and will not work with the fermentasaurus lid. This is a great tool for me to use being 91 years young it sure makes unscrewing a lid easier for me. This helps with breaking the Fermonster lid free after fermentation. I have had several instances where the lid has tightened, making it very difficult to free the lid to add additions, etc. This is a mandatory piece of equipment. I just picked up a bunch of fermonsters to try them out. Like every review said, for whatever reason, they are hard to open by hand. Luckily, I picked one of these up, because, you know, tools. Get one. Should be included with every fermonster. I used a strap wrench for a while not knowing this existed. Works great. After having trouble opening my Fermonsters, I saw this tool. Economical and does the job. Can't picture not having one now. If you have bought a Fermonster this is a must have item. I lived without one for a couple of months. I did not see this when I bought my Fermonster, but when I saw it I knew I must have it. It makes opening and tightening the Fermonster so easy which to do with your own hands is a little bit difficult. Get one if you get a fermonster. I recommend getting this if you get a fermonster. I also recommend not getting a fermonster. It's hard to get the lid off, which is why you need this tool. Works great. One should be included with every Fermonster purchase. Without it? Getting the lid off can be a real treat. This little device makes taking off the Fermonster lids incredibly easy. Before I had this I constantly struggled to get the lids off, especially with one hand. There is nothing more frustrating than not being able to open your fermenter.... The Fermonster lid has stuck on every batch I've put in it, until now. Worth every penny.